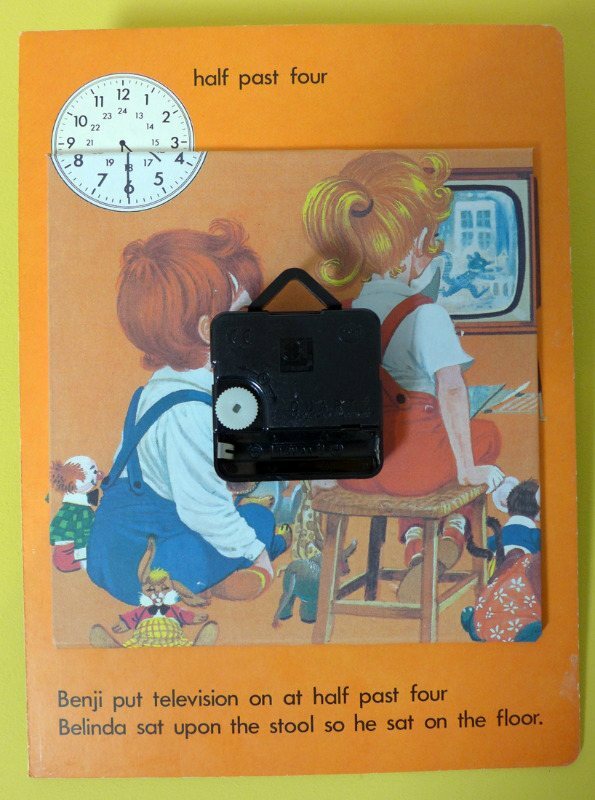 These vintage book clocks are made from a 1960's Tell the Time board book. Each one shows Benji at different points in his day as he goes about his daily routine accompanied by a rhyming couplet! The illustrations and colours are charming and very reminiscent of the period. All of the Benji book clocks have metal hands attached to a quartz movement and run on a AA battery (not supplied). The book is reinforced with a covered, mdf square on the back to give it strength. The clock can be wall mounted using the loop on the clock movement. 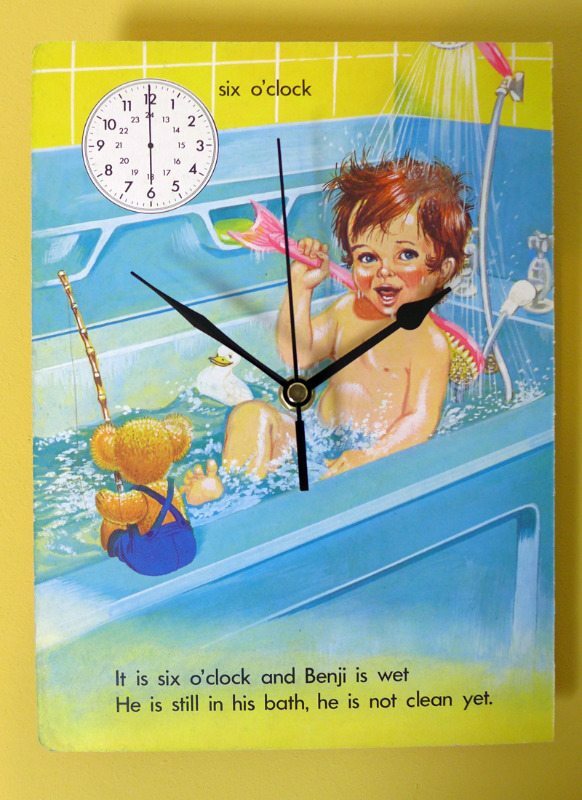 The Benji book clocks measure 26.5cm x 19cm. This one shows Benji in his bath at six o'clock.